I've started to post at DDJ's blog a couple of weeks ago, and so far I've written a couple of topics. In the first one I focus on the new Mono 2.0 release, and what I believe it means to developers out there. You can find the full text here. 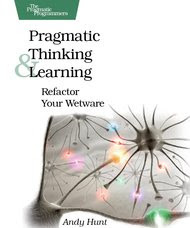 And today I've just posted about what I end up calling "multi-experience" software design and talks about some of the issues covered at the latest Pragmatic Programmers great book on Pragmatic Learning & Thinking.